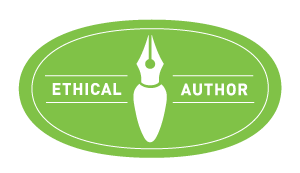 Blog Book Tour | A Book Spotlight on the John Chase mysteries (by S.K. Rizzolo) of which fall under my newly beloved ‘Cosy Historical’ sub-genre! Originally I was going to contribute a book review for this blog tour, however, I had several personal circumstances arise since the time I received the book(s) for the tour and my re-scheduled tour date. As I had previously expressed on my reviews for Death Comes to London & Death Comes to the Village I was taken ill last week and it took a long while for me to catch up on both my energies and my sleep; yet there were other things that had occurred as well, which is why I continued to lose hours to read the books I had in queue. I was fighting the clock to become current and losing ground on the hours I had left to spare in order to resume where I had left off — therefore, as I had the kind blessing of being able to receive all three of the John Chase mysteries: The Rose in the Wheel, Blood for Blood, and Die I Will Not I will be tweeting my reading adventures within the novels whilst making amends by posting my reviews after the blog tour has concluded. 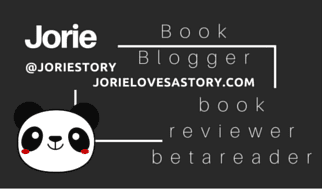 All three reviews will be on Jorie Loves A Story in December, as they were always meant to be showcased. I do regret I couldn’t contribute more to the blog tour, as I had planned to interview the author as well; which I had to cancel. What initially drew my eye into wanting to participate on this blog tour is the fact these are mysteries set within the era of the Regency; one of my most highly read periods of British life and history! As I had previously disclosed on my Kurland St. Mary mysteries posts, I have the tendency to overlook reading about the Regency outside the world of Romance — so imagine my delight in finding not one, but two new mystery series!? This one is quite different from the Kurland St. Mary mysteries — the tone is set differently and the series has a uniquely different pace to it. I love curling inside mysteries of suspense where you never quite know what you will find inside whilst getting to know who the investigators are and how the writer has written the puzzle of the crime! Let me introduce you to the novels I am in the process of reading and perhaps I shall tempt you to read them as well? I am most curious if there are other Regency Romance readers who are finding themselves happily entrenched in the Mystery / Suspense genre?